How to Find A Good Mold Maker in China? After a new product is designed, a lot of companies would be ready to develop the plastic injection mold for small-scale trial production, to see how the market will respond before making a decision on massive production. At this point, it will be of great importance to select a proper plastic mold manufacturer. Personally, I’ve been working in the mold making industry for many years, and have known no less than 100 mold manufacturers, big or small. 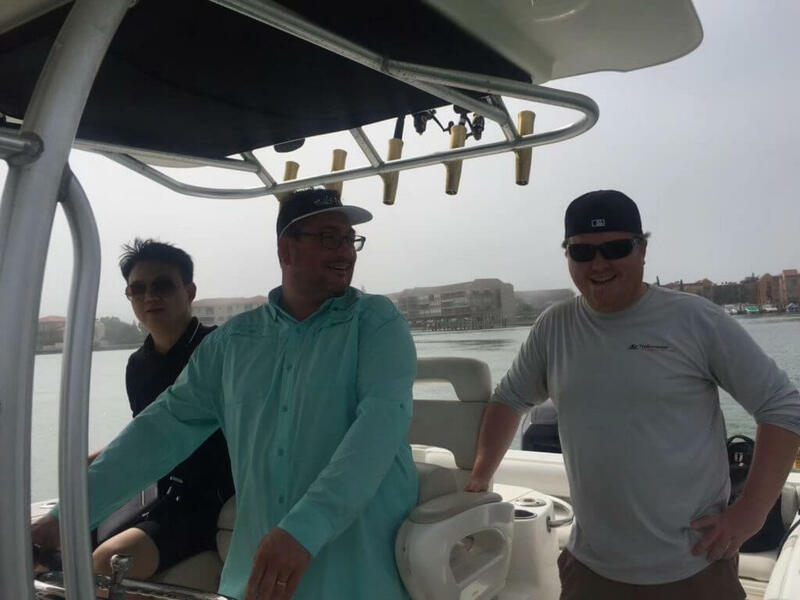 In this article, I am going to sum up my years of understanding and experience in the profession and would be happy to share it with all of you. （1）Which type of mold manufacturer is a better choice for cooperation? Foreign-funded mold manufacturers are characterized by standardized management, robust processes, strong service awareness, as well as assured quality and service, but their overhead costs and selling expenses are pretty high, meaning that mold development charge will be accordingly higher. If you have a strong financial capacity and would like to seek a company that is able to provide assured product quality, a large size foreign-funded mold manufacturer will be your choice of cooperator! 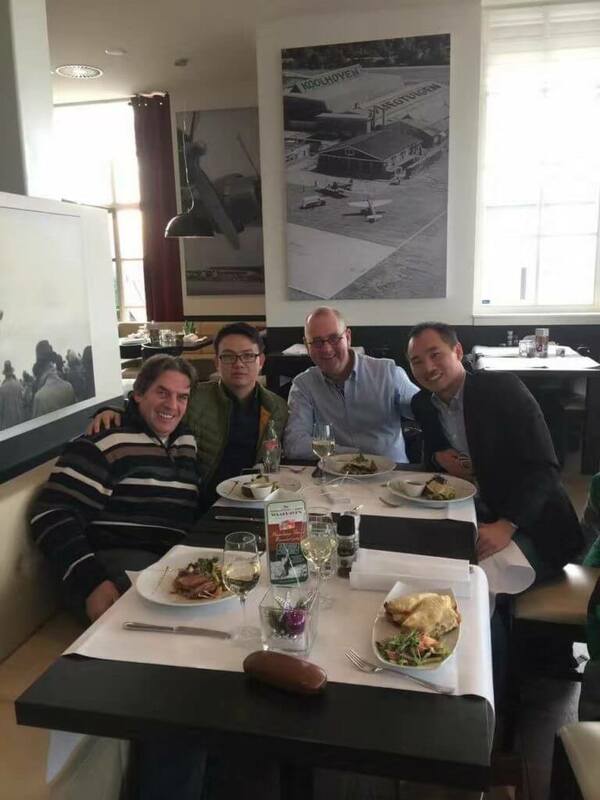 However, in practice, large sized foreign-funded companies often have regular clients, so their prices will often be in line with the international market, which is not easy for many enterprises to accept. A set of large precision automotive mold usually costs hundreds of thousands or even millions dollar – the direct cause that discourages many buyers. 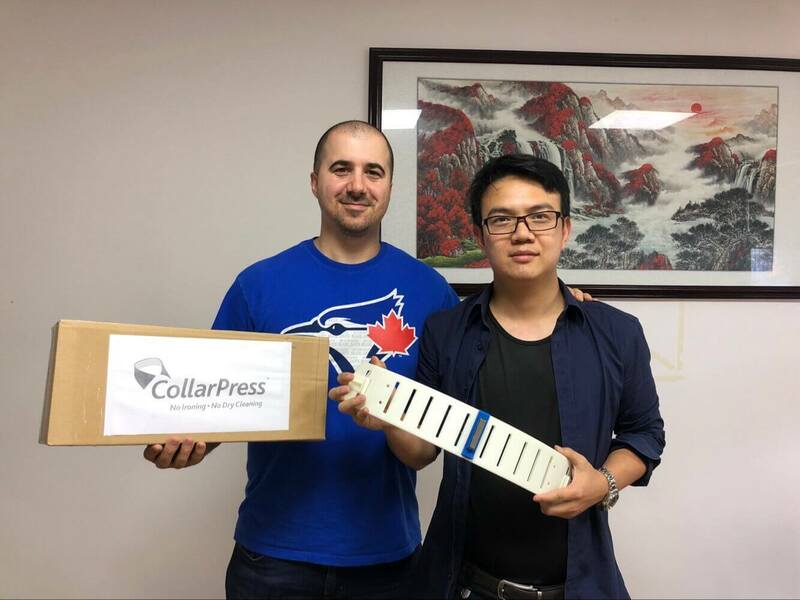 Chinese privately owned mold manufacturers are mostly established by the first batch foreign enterprise employees who first accessed the mold industry. 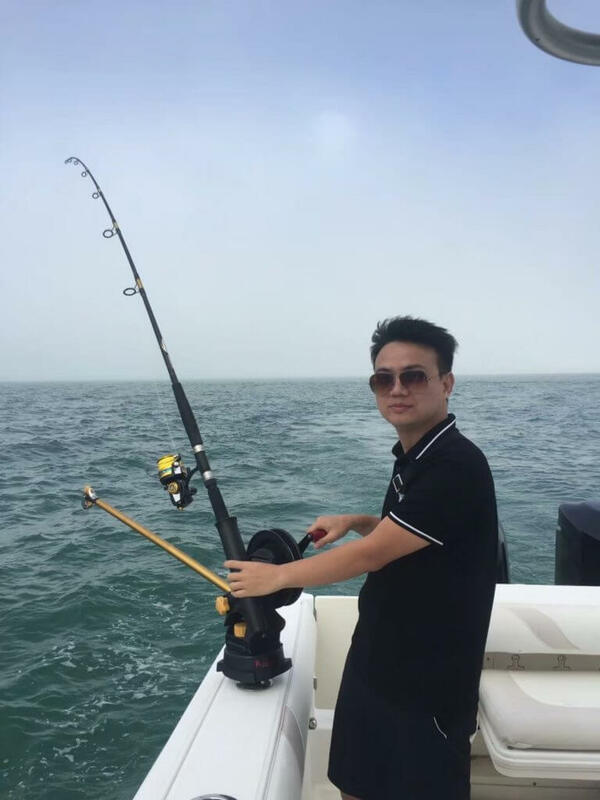 Dubbed up-and-coming stars, one of the biggest inherent advantages of such enterprises is the relatively low material, overhead and selling costs. The mold and product prices they offer are definitely lower than those of foreign, Taiwan and Hong Kong mold manufacturer, so they are always able to attract the attention of a large number of mold buyers. 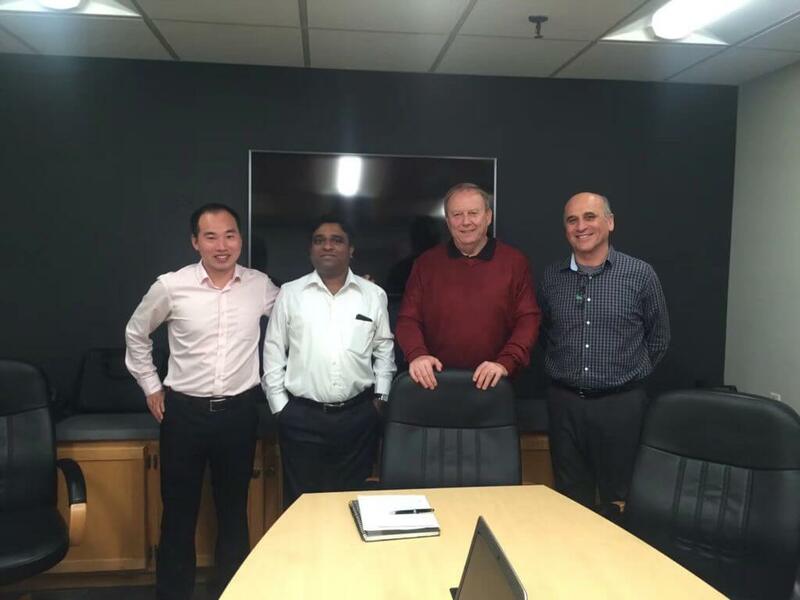 （2）What size mold manufacturer is a good choice for cooperation? Large, medium or small sized mold manufacturer? Personally, I think the choice in this regard is dependent on the circumstances. From the perspective of factory size, everyone will preferentially choose the largest one, because the large ones are usually fully equipped and thus more competent! Potentially, their sizes also reflect the level of customer’s choice. But, on the other hand, the larger the size, the higher the overhead costs will be, so the price will not be as competitive. In particular, the prices offered by large-sized foreign-funded mold manufacturers are literally unacceptable for most buyers. It is of critical importance that whether the mold manufacturer you select treat you as a VIP, i.e. whether they respect you. As a matter of fact, looking for a supplier is like choosing a partner, a suitable match is required. If your company does not have a strong financial capacity and your purchase volume is not big enough, looking for cooperation with large-sized mold manufacturers will only lead to the result that you are not respectfully treated despite the money you spend because you are not able to meet their requirements, be it order amount or volume. That is to say, they cannot benefit from your orders. Under such circumstances, most people will choose SMEs. As a matter of fact, it is now a common practice in the industry, after all the mold and product prices appear to be more acceptable. 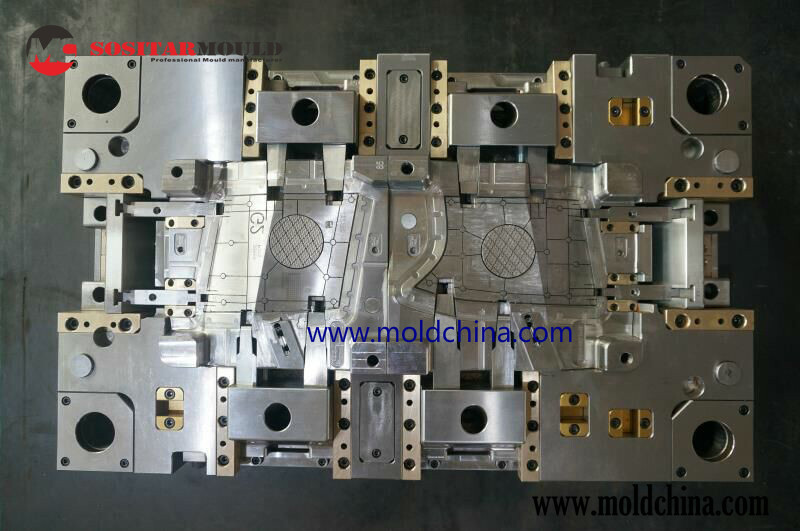 However, you will soon find other concerns arising – can the mold be produced punctually with assured quality, how will the mold perform in the process of mass production and what is the life cycle of the mold? At this point, I would suggest you pay attention to the general knowledge that you have to select a fully equipped mold manufacturer, i.e. it has to be equipped with supporting precision CNC machines, slow wire cut machines, EDM, high-speed high-precision injection machine and 3D/2D measuring instruments that are necessary for mold processing, production, and testing. This is the point that should be taken as the key element for inspection, evaluation and final selection of a mold manufacturer. (3)Meet mold manufacturer face to face, or ask for some reference customers before place order. When you search “China mold manufacturer “or” Chinese mold maker” in Google, you will get a lot of contacts from mold manufacturers in China, I suggest you send RFQs to 5 or more mold makers, then you can compare their price, they react speed, their professional support. Normally the mold manufacturer arranges an engineer or a sales who have the engineering background to contact you, it will be much better than a sales girl without any engineering experience. because mold making is a customize and professional service, mold experience will help a lot in communication and avoid misunderstanding in engineering. it will save lots of time and cost. 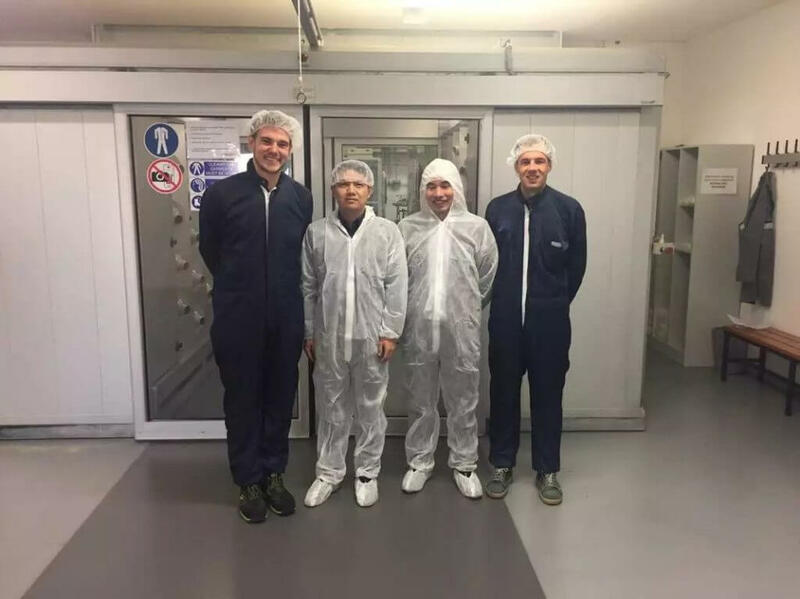 when you decide to work with one mold manufacturer, I suggest to visit them on site, then you can check their facility and talk to them face to face. 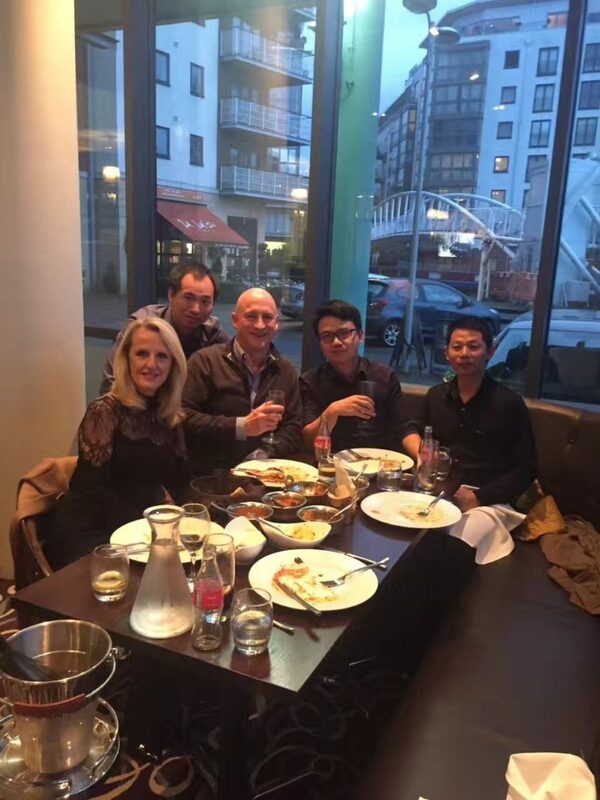 if time or budget is limited, then you can ask for some reference customers from your own country who are dealing with them, the people who live in the same country and culture are always more trustworthy. 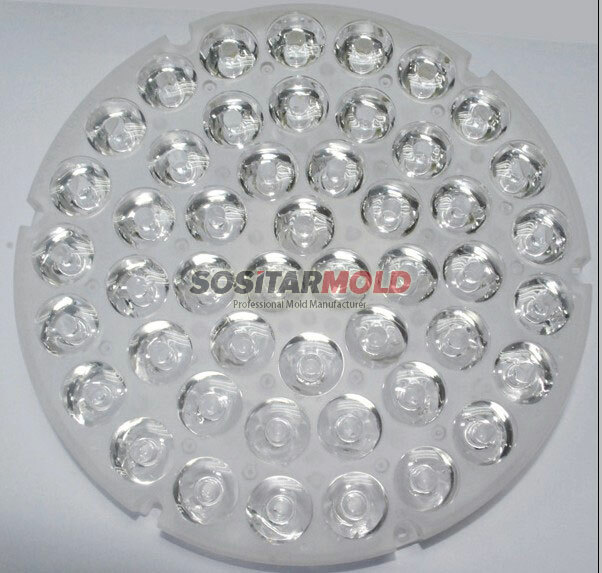 Sositar mould is a professional plastic injection mold manufacturer in Shenzhen China. 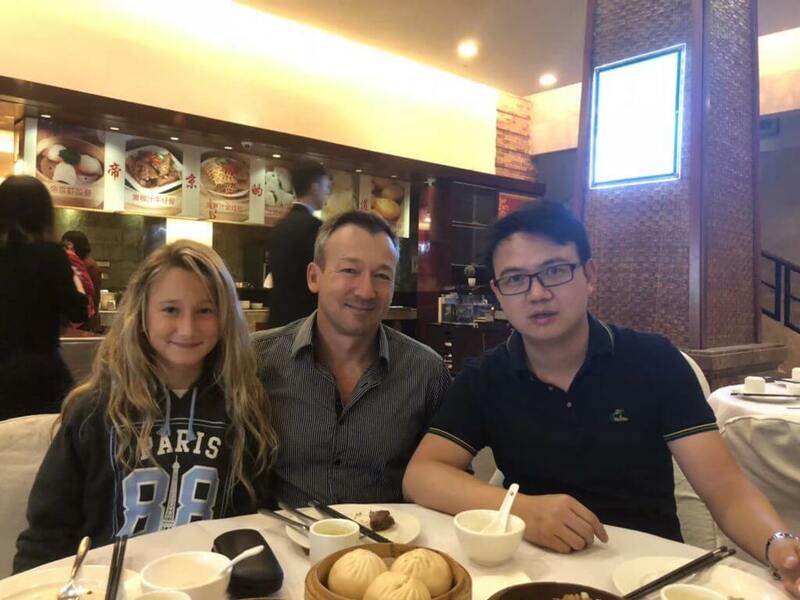 We have more than 100 customers all over the world. most of them come from European and US. 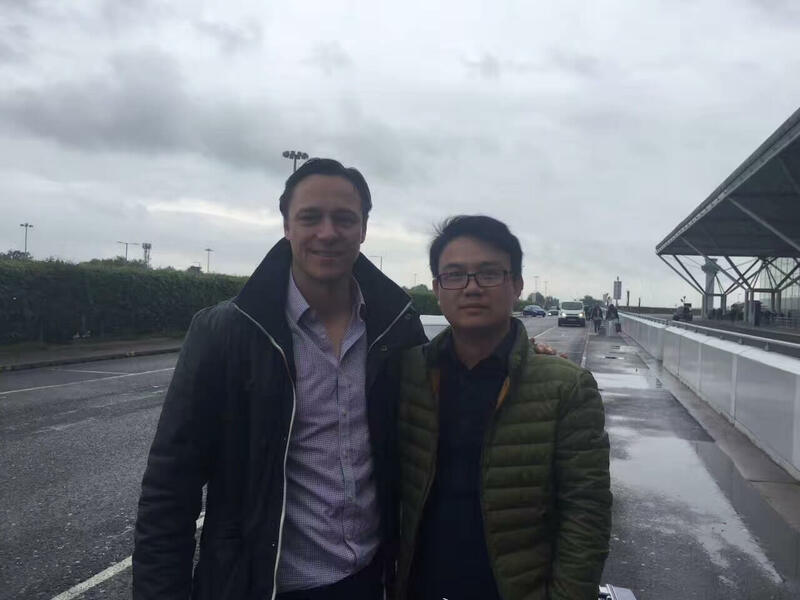 Let us share some interaction between Sositar mould and customers all over the world. 1,How the Hot Runner Works? Also known as the runner-less system, the hot runner is a system in which the molten plastic is not solidified after each injection, so when releasing the plastic part, the gate inside the runner does not have to be released. 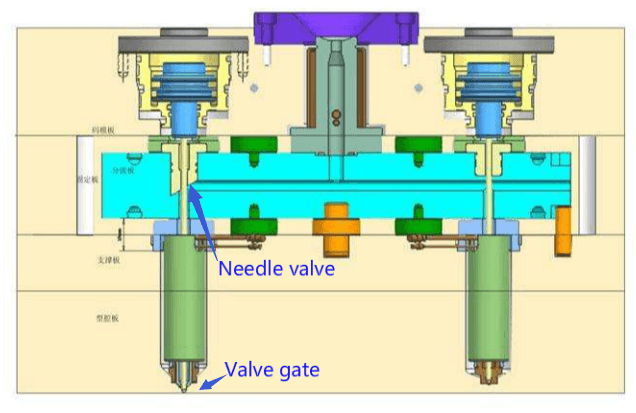 Since the plastic inside the runner is not solidified, the runner still stays unblocked when the next injection takes place. Hard to fill; b. thin-walled large size parts easy to deform; c. material waste in the runner; d. inconsistent plastic part quality when using a multi-cavity mold, and so forth. As it is not limited by the runner cooling time, the plastic part can be ejected in a timely manner after being molded and solidified. 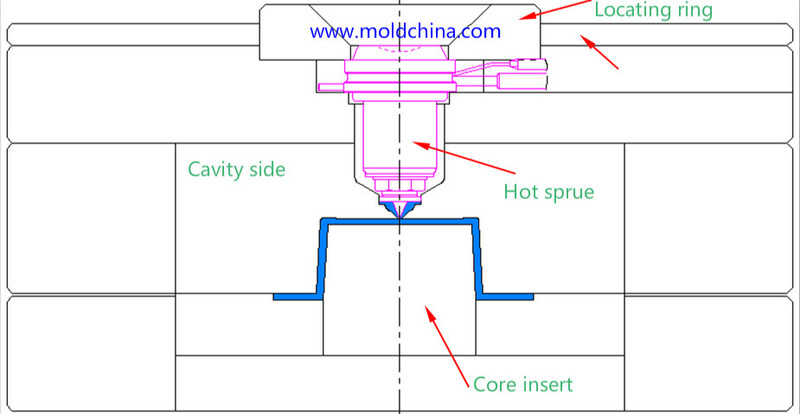 For the production of thin-walled small parts, the molding cycle can be kept within 5s. In a complete hot runner mold, material waste will not occur thanks to the absence of a cold runner. This is of a greater significance to the application projects of the more costly plastic materials. As a matter of fact, global major hot runner manufacturers had witnessed leap forward development during the years when world crude oil and raw plastic materials were expensive. This is because the hot runner technology is an effective way to reduce waste materials and thus lower raw material costs. The temperature of the molten plastic inside the runner system can be accurately controlled during the hot runner injection molding process, so that the plastic is able to flow into each cavity in a more consistent manner, thus guaranteeing consistent quality products. The hot runner gate is of a higher quality, so after mold release, the part produced will have a smaller internal stress, leading to a smaller part deformation. Therefore, many high quality products in the market are all produced with the hot runner mold. After being molded with a hot runner mold, the part will be the final product, so there will be no follow-up steps like gate trimming, recycling and runner cooling, thus helpful for production automation. Many manufacturers from both home and abroad have combined the hot runner system with automation, so as to greatly improve production efficiency. 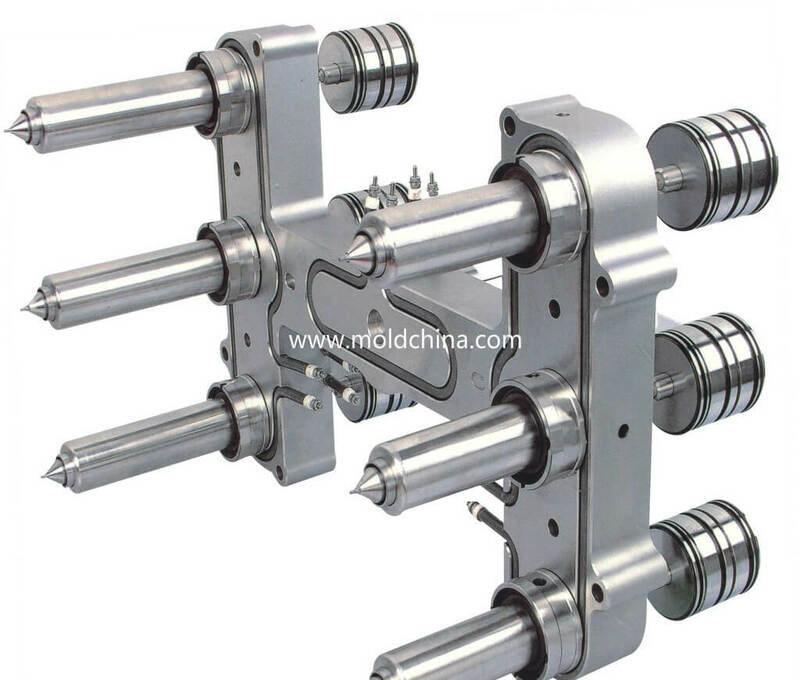 The mold that employs a hot sprue for direct or indirect material feeding, is referred to as a hot sprue mold. 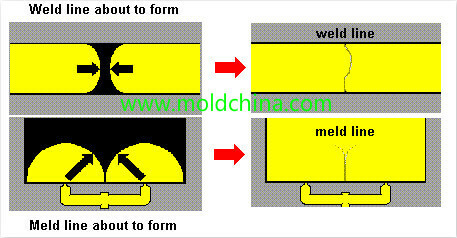 2,The mold that is designed with a hot runner manifold and a secondary hot sprue, is referred to as a hot runner mold. (1) The hot sprue mold structure that feeds materials through the point gate. It is only suitable for the single-cavity mold, and is limited by the gate location. 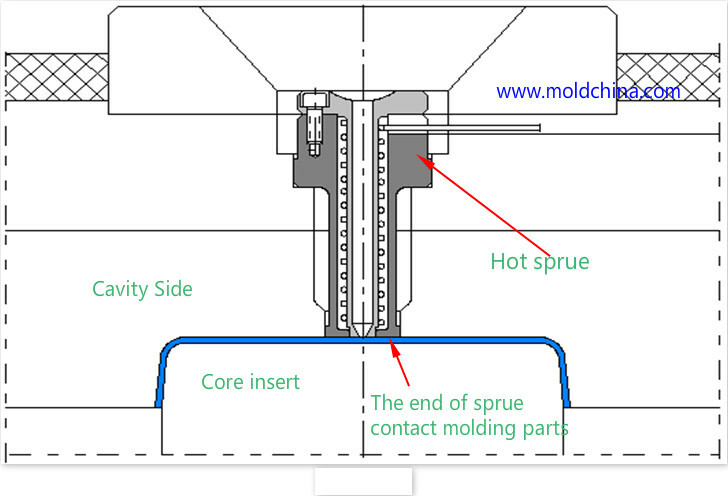 2) The hot sprue mold structure with the end surface engaged in injection molding. It is suitable for the single-cavity mold, but sprue marks will be left on the part surface. The end surface of the hot sprue is machinable. 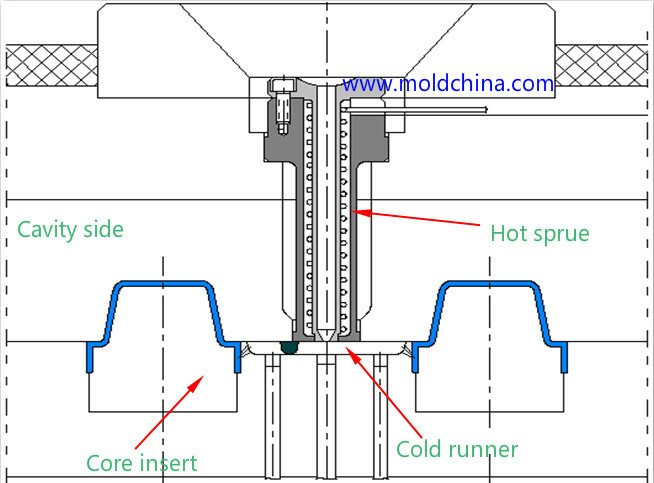 (3) The hot sprue/cold runner mold structure with a bit of the traditional runner features. This structure is able to produce multiple plastic parts at the same time, but some cold slugs will be produced. Besides open gate hot runner as above,Now people start to choose valve gate hot runner for high class product. What is valve gate hot runner? Mount the hot sprue and the manifold into the injection mold, and then by way of heating, keep the fluidity of the plastic material after it is out of the barrel. The result is, the product gate seems to be able to contact with the nozzle directly. So, when releasing the product, the sprue is closed under the action of the needle valve. The application of one or more cold runners is thus avoided, realizing wasteless production. Not limited by the change of plastic injection molding materials. The process features of PMMA: due to the high viscosity, PMMA has a poor fluidity. Therefore, a high material temperature and a high injection pressure must be applied during the injection molding process, among which the influence of injection temperature is greater than that of injection pressure. However, the increase of injection pressure helps improve product shrinkage. PMMA enjoys a wide range of injection temperature – melting pressure is 160℃, but the decomposition temperature is as high as 270℃ – so, material temperature is allowed to be adjusted within a wide range for better manufacturability. As a result, the improvement of viscosity can be carried out from the perspective of injection temperature. PMMA features a poor impact resistance and abrasion resistance, easily scratched and broken, so mold temperature should be raised to improve the condensation process, and thus overcome these defects. The injection molding performance: PMMA is an amorphous polymer which does not possess a clear melting point. Usually, it becomes soft when heated to 160℃ and starts to flow at around 180℃, while the decomposition temperature is 270℃. With a wide range of adjustable injection temperature (usually between 180 to 240℃), the material absorbs moisture slightly. Therefore, it needs to be dried under 100℃ conditions for 2 – 3h before production starts. Shrinkage rate is 5‰, with an overflow limit value of 0.05mm. The flowing defects on product surface or the linear defects that are caused when melt fronts meet each other after splitting. Weld lines refer to the lines that occur on a plastic product surface when the cold slug melts. In areas of mold cavity where the molten plastic meets inserts or holes, areas with inconsistent flow speed/flow interruptions, where multiple flows meet or when jetting happens during mold filling, linear weld marks tend to occur due to imperfect bonding. The existence of weld lines greatly compromises the mechanical strength of a product. The solution for overcoming weld lines is similar to that for reducing product sagging. Weld lines can be caused by many reasons, which covers the various aspects of mold, process, raw materials and product design, etc. Poor plasticization and non-uniform melt temperature – appropriately extend the injection molding cycle, to ensure thorough plasticization, and change for a machine with a larger plasticization capacity when necessary. 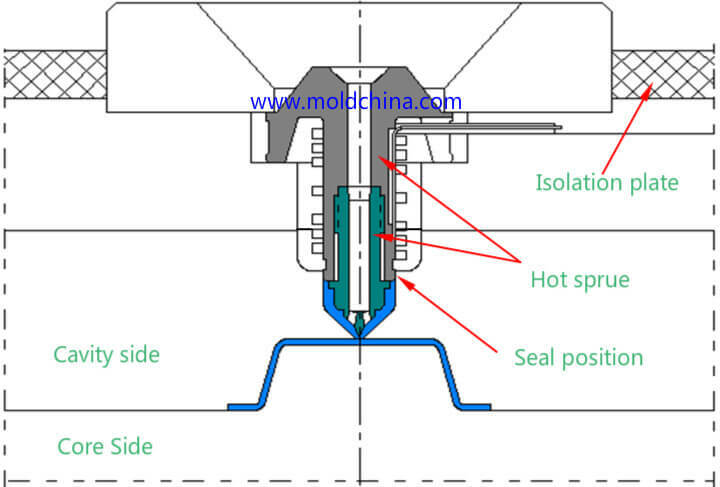 ①Mold surface is too cold – appropriately raise mold temperature or purposefully increase the local temperature at melt joints, to restrict cooling speed. ②Runner is too thin, narrow or shallow, and cold slug well is too small – increase runner dimensions, improve runner efficiency and at the same time enlarge the area of the cold slug well. ③Increase or reduce the sectional area of the gate, and change gate location. Gate and runner are too small – increase gate size and runner diameter; gate is too far away from the welding area – need to change gate location or add dozzle(s); when deciding gate location, try to keep the melt from flowing around inserts or holes. When jetting occurs, the gate needs to be fixed, relocated or equipped with blocking buffers. And, try to avoid the application of multiple gates. ④Insufficient mold venting or no vent at all – set up, expand or clear the vents, including venting through insert and ejection pin clearances, setting up vents in welding areas or increasing vent dimensions. ⑤Too much detergent is used – try not to use release agent. ⑥Plastic part is too thin in the welding area – need to modify mold and thicken the area. ① Effective cavity pressure is too low – need to increase injection pressure and injection time. ②Increase injection speed. A high injection speed allows the molten plastic to reach the meeting point before cooling, while a low speed allows sufficient time to let cavity air out. 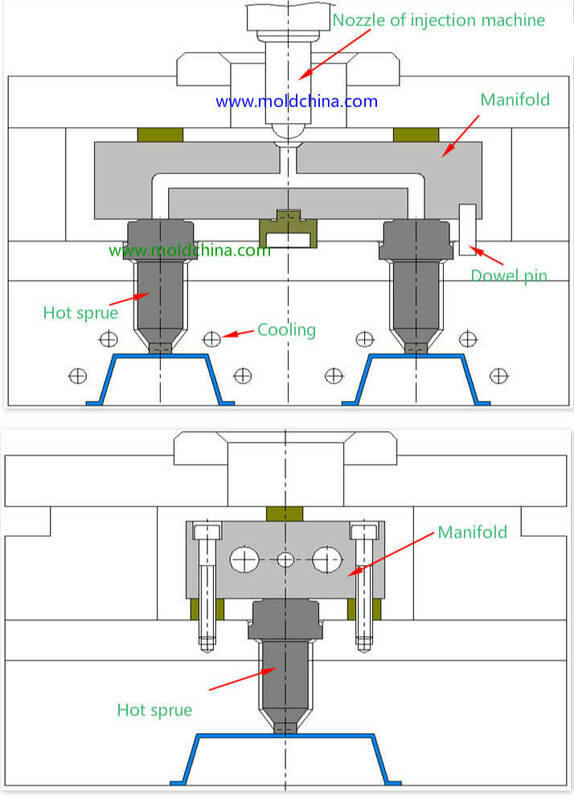 ③Raise melt temperature or nozzle temperature; when the temperature is high, the plastic will feature a low viscosity and good fluidity, thus resulting in slighter weld lines; when the temperature is low, decomposition of gaseous substances can be reduced. ④Try not to use release agents, esp. those containing silicone, or the flows will not be able to bond perfectly. ⑤Reduce clamping force to ensure good ventilation. ⑥Appropriately increase back pressure and adjust screw speed, so as to ensure a uniform melt temperature; increase the screw speed to lower plastic viscosity; increase back pressure to improve plastic density. ①Ensure the raw materials are sufficiently dried. Dry the raw materials and try not to use liquid additives. ②Improve fluidity. For plastics that feature poor fluidity or high heat sensitivity, lubricants and stabilizers should be appropriately applied; choose materials with good fluidity and high thermal resistance when necessary. ①Small thickness – increase the thickness to avoid premature solidification. ②Inappropriate insert location – make appropriate adjustments.